What is one of the most powerful tools in the industry? KODAK PRINERGY Workflow software. The industry's leading prepress automation software keeps costs, quality, and business risk in control giving you more freedom to grow your business. Stay on top of your game with PRINERGY Workflow - designed so you can easily expand capabilities as your business grows. Want to learn more? Please contact our sales professional for an opportunity assessment and comprehensive review of PRINERGY Workflow software capabilities. Take costs saving and efficiency to the next level with Rules-Based Automation. RBA allows you to automate frequently performed tasks like existing manual events, business process, or daily step in your printing production workflow further eliminating errors, speeding processes, and lowering cost. * Based on studies of PRINERGY Workflow customers who have implemented RBA. Typical printer spending 3-4% of revenue on prepress labor and materials. 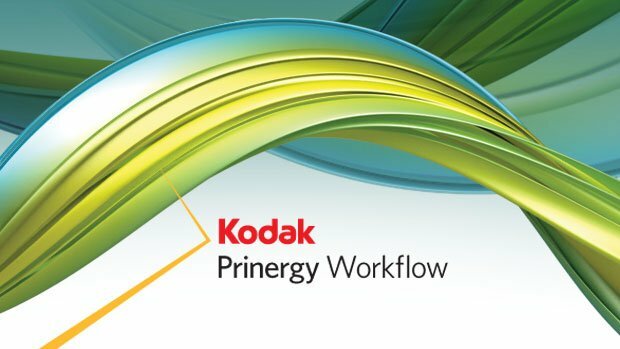 If you have questions about how KODAK PRINERGY Workflow can help you improve printing quality, enhance productivity, and reduce costs, contact us today.